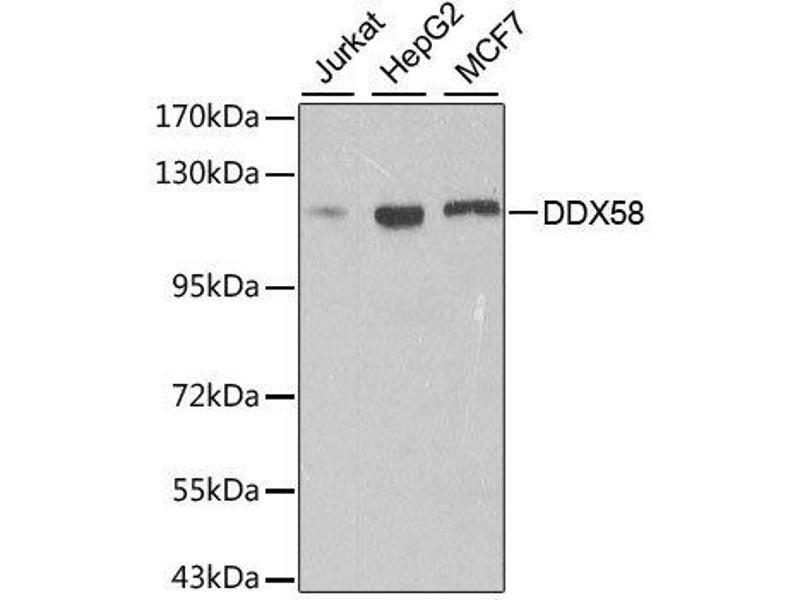 Western blot analysis of extracts of various cell lines, using DDX58 antibody. 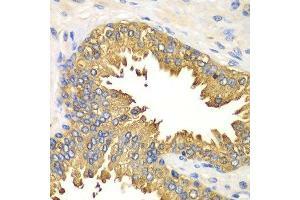 Immunohistochemistry of paraffin-embedded human prostate using DDX58 antibody. 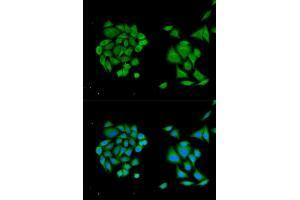 Immunofluorescence analysis of HeLa cells using DDX58 antibody. 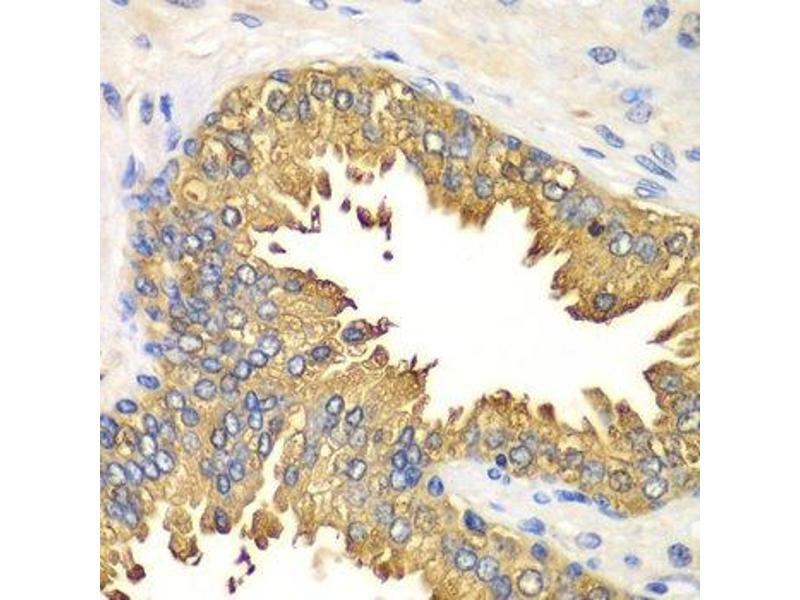 Background Antiviral innate immunity depends on the combination of parallel pathways triggered by virus detecting proteins in the Toll-like receptor (TLR) family and RNA helicases, such as Rig-I (retinoic acid-inducible gene I) and MDA-5 (melanoma differentiation-associated antigen 5), which promote the transcription of type I interferons (IFN) and antiviral enzymes. TLRs and helicase proteins contain sites that recognize the molecular patterns of different virus types, including DNA, single-stranded RNA (ssRNA), double-stranded RNA (dsRNA), and glycoproteins. 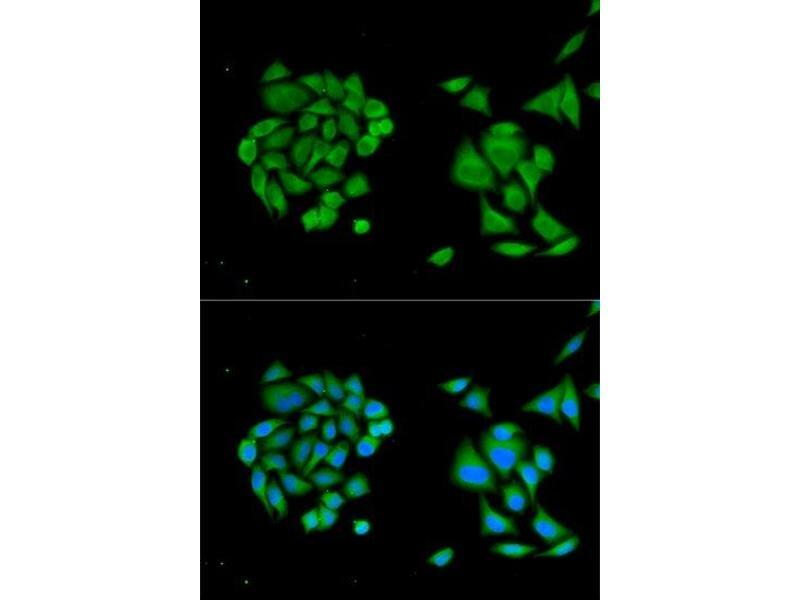 These antiviral proteins are found in different cell compartments, TLRs (i.e. TLR3, TLR7, TLR8, and TLR9) are expressed on endosomal membranes and helicases are localized to the cytoplasm. Rig-I expression is induced by retinoic acid, LPS, IFN, and viral infection. 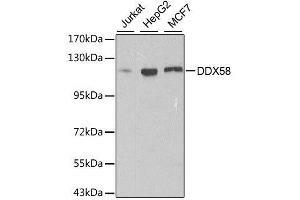 Both Rig-I and MDA-5 share a DExD/H-box helicase domain that detects viral dsRNA and two amino-terminal caspase recruitment domains (CARD) that are required for triggering downstream signaling. Rig-I binds both dsRNA and viral ssRNA that contains a 5-triphosphate end not seen in host RNA. 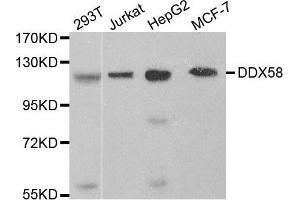 Though structurally related, Rig-I and MDA-5 detect a distinct set of viruses. 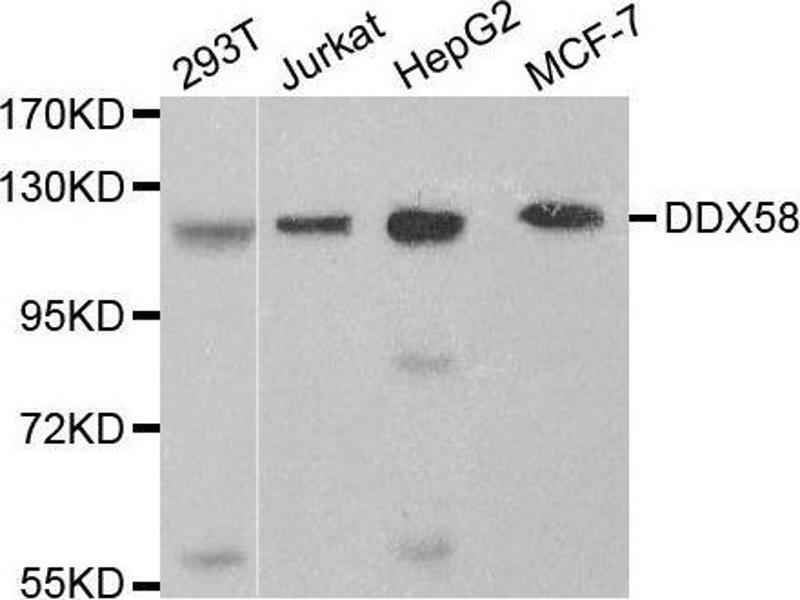 The CARD domain of the helicases, which is sufficient to generate signaling and IFN production, is recruited to the CARD domain of the MAVS/VISA/Cardif/IPS-1 mitochondrial protein, which triggers activation of NF-kappaB, TBK1/IKKepsilon, and IRF-3/IRF-7.